The world of SEO often seems very confusing – with constant updates and new details – that are easy to get bogged down with. But it’s important to remember – SEO is based on some general, simple principles – to help users find the exact content they’re looking for. 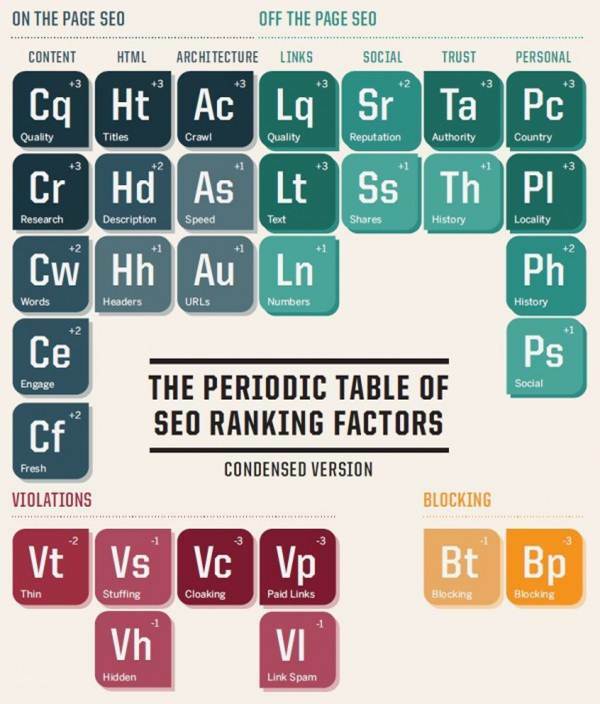 We love this great table from Search Engine Land which summarizes perfectly all the major SEO ranking factors. Off the Page are factors that you may influence, but can’t control entirely. 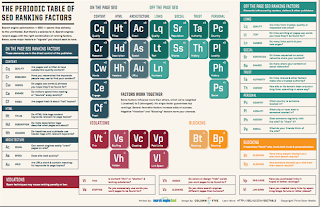 These include inbound links (here quality is more important than quantity), social (your reputation on social networks), trust (the authority of the page) and personal (based on the individuals browsing history or search terms). Violations are “spam” or “black hat” techniques that need to be avoided at all costs – as they are very likely to be penalised by Search Engines. For example, link stuffing or cloaking certain content from Search Engines. Blocking can also be harmful for rankings – if users block your site from their results. 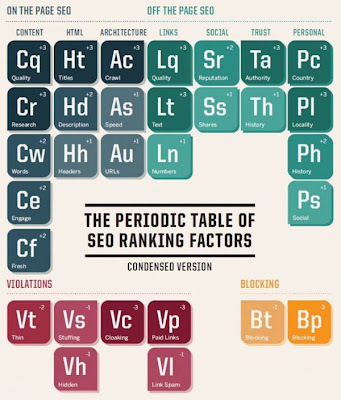 Keywords are the main concept of SEO. It also takes creativity and research on making keywords. Those that are catchy sometimes get the most expensive pay per click rates. This information would greatly help me in my craft.